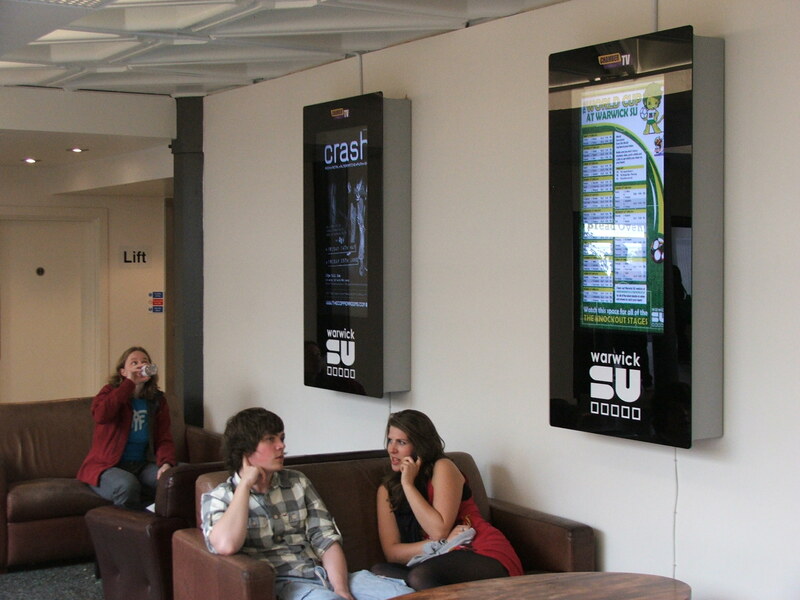 Sheffield’s student union runs a huge number of events throughout the academic year, up to 15 events a week to put it into perspective. The SU had 55,000 visitors during ‘Intro Week’ and hit record attendances for the new space Foundry, Studio & Fusion, which is where the digitalsignage.net software has been put in place. 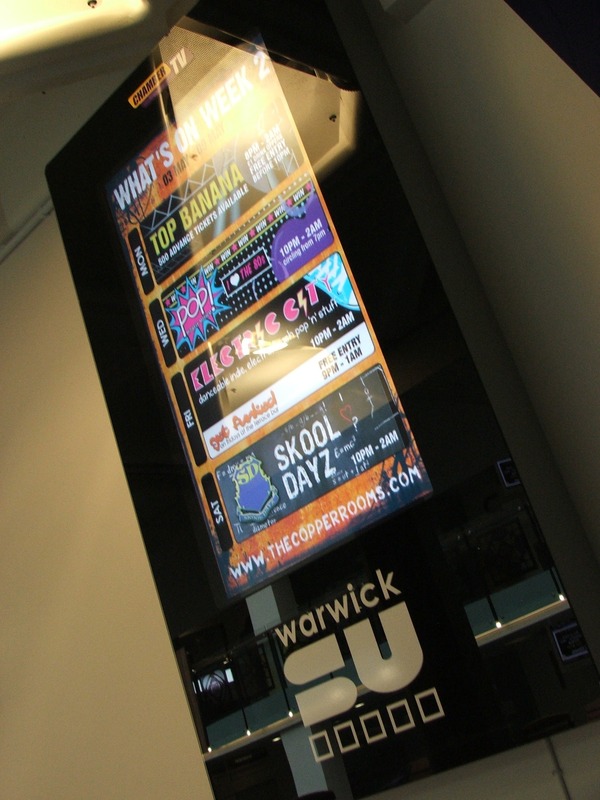 Primarily the decision to use our software was based on the flexibility of it, in terms of being able to show video, moving images, bar offers and posters alongside twitter feeds. 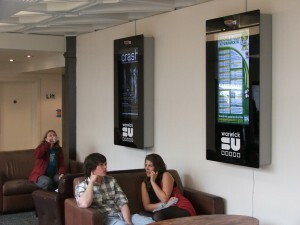 A network of seven players with 20 screens has been installed by our partner One Digital Media. This entry was posted in and tagged digital signage, digital signage for education, digital signage news, digital signage software by . Bookmark the permalink.